Naughton Booksellers is currently closed for renovations. We are currently closed for renovations and are not accepting orders at this time. Please check back in the future. Welcome to Naughton Booksellers, Ireland. Naughton Booksellers have bought and sold used, secondhand, antiquarian and rare books in Dun Laoghaire, County Dublin, since 1978. You can view our stock of 20,000 books, prints and maps online or visit the bookshop Monday to Saturday 10:00 am to 5:00 pm. 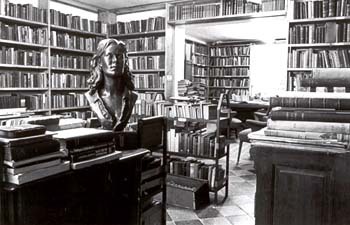 Our selection includes both Irish and general history, biography, travel, literature, poetry and drama. We also offer a range of titles in art and architecture, languages, social science, science, nature, philosophy and religion and other subjects. Please search or browse our inventory of almost 20,000 used, out of print and antiquarian books by using either the search facility on the left or the subject catalogue on the right. If you have more specific interests, like 'golf', 'mathematics', or 'Kerry', just enter the word as a keyword and any items in stock will be listed for you. Irish interest materials form about a third of our holdings and include history, travel and topography, literature, drama, poetry and music. The remainder of our titles is of general interest, with sizeable offerings of literature, history, travel and biography. If you are unable to find what you require, please fill out our book request form. We maintain extensive customer wants files and are always happy to notify you when particular items become available. Please search or browse our inventory of hard to find, out of print, used, and rare books. If you can't find what you like please fill out our off-line search form and we will search our off-line inventory, other bookstores and book search services for you. Shipping rates are based on an average 1 kilo (2.2 pounds) parcel. Charges for light items will be less. For sets and heavier items, the charge will be more; and we will contact you before processing payment.